Opens at 8am. Closing times vary depending on seasons and sunrise/set times. 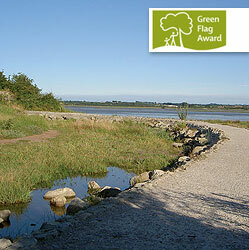 Riverside Country Park covers 100 hectares alongside the Medway Estuary, including Motney Hill and Berengrave Local Nature Reserve. There's also a children's play area with climbing unit, slide, swings with toddler seats, swings with swing boat seats, trampoline, play houses, climbing and balance trail. If you find yourself locked in one of the sites you should phone 0845 850 0319. If you are not able to make contact with the on duty gatekeeper, the Norse Helpdesk can make contact with the Head of Countryside Management on 07718 200 832.